EADSM is an open organisation and welcomes dentists and physicians who want to contribute to the field of sleep medicine, or who seek a professional resource for dental sleep medicine in Europe. Members have easy access to up-to-date information on all aspects of dental sleep medicine. Finding information on dental sleep medicine treatment modalities, developments, research, training and sleep medicine in general. Postgraduate training through EADSM conferences, lectures and workshops. Reductions in EADSM registration fees. 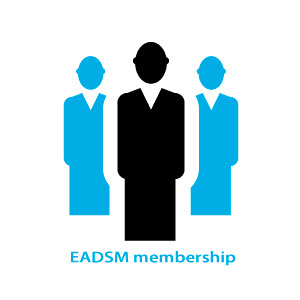 Access to the EADSM members’ network, creating opportunities for exchange and collaboration all over Europe and connecting to affiliated organisations world-wide. Members have access to additional information on the website such as literature reviews, depending on the type of EADSM membership. Dental sleep medicine encompasses the clinical treatment of patients with sleep-related breathing disorders through the use of oral appliance therapy, the promotion of long-term management of patients with sleep-related breathing disorders, and the scientific investigation of topics related to dental sleep medicine. EADSM members are expected to adopt the highest of ethical standards for their practice, with the safety and well-being of the patient as the primary objective. EADSM members should possess not only knowledge, skill and technical competence but also honesty, integrity and compassion. These professional and personal qualities should define EADSM members. 1. Do that which is right and fair for their patients with respect to their treatment and care for sleep-related breathing disorders. In this regard, members are encouraged to disclose therapeutic options available and a course of treatment. Members are also encouraged to maintain comprehensive patient records that remain confidential. 2. Follow peer-reviewed standards of practice and published treatment protocols for oral appliance therapy. 3. Keep current with regard to knowledge of and expertise in dental sleep medicine, oral appliance therapy, and sleep-related breathing disorders. 4. Deliver care to patients in a manner that demonstrates competence and is within the clinical expertise of the dentist. 5. Do not advertise or market their services using misleading claims. membership with all benefits and prerogatives included. a special type of membership for those who want to register for an EADSM meeting but do not want to become a member on a yearly basis / UNDER CONSTRUCTION. The EADSM welcomes contributions from all our members such as mentoring, lecturing or support in publishing audits and research data.